The developers of BitPim have rolled out a new version (v0.9.12) of their popular program which allows managing data on mobile phones. Included in this update is more support for the LG VX9900 (aka enV). The previous update only allowed minimal compatibility with the phone. However now, when setup properly, anyone can sync Phonebook, Calendar, Wallpaper, Ringtone, Memo, SMS and Call History data back and forth. We recommend this to add ringtones onto your phone since the only other method is to purchase them from Verizon’s V Cast store. Also the increased enV support was not the only addition to the most recent update of BitPim. They also increased stability, bug fixes, added support pages, and re-organized the interface. (plus more improvements with the LG VX8600, LG VX8500, and LG VX5300) The program is entirely free (open source) and you can download a copy from the link below. When are they going to come out with a new one? I have the new samsung schu740 and the site says that new software is released every 3-4 weeks. Its now been well over a month since the last release. 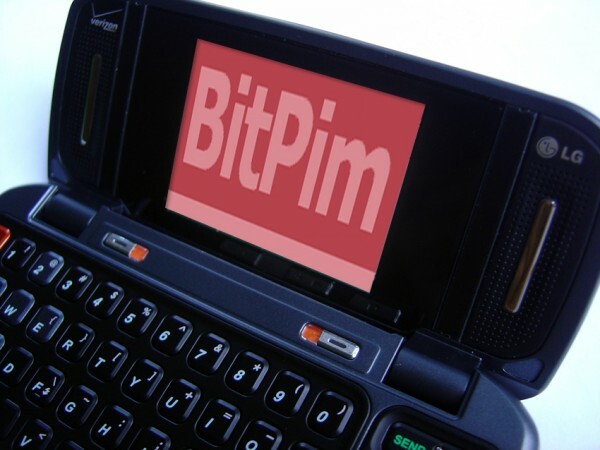 I had been using bitpim with my enV for some time. I recently had problems connecting to Mobile Web so Verizon upgraded the software on the phone to T99VZV02 and now access to update my calendar/etc. with bitpim is blocked. Seems like this is a habit of Verizon’s. If they were going to change the features of the phone, it sure would be nice if they would let you know what those are. I won’t be purchasing another Verizon phone in the future. Syncing calendar entries is more important for me than using the web browser. Yes you are indeed correct. The firmware upgrade is blocking it. I was hoping for the folks over at BitPim to come up with something, but it’s probably too much to expect. The best way to sync data with the enV is USB cable for Music, a microSD card reader for photos, and Verizon’s Back Up Now service (free for online account users) to create an additional copy of your Address book. I did a little more research, downloaded and installed bitpim 1.0.2, and tried again — I was able to get access to the phone again! That was a close call. It says that its blocked by the provider, i really really want ringtones, but it just isnt working. Can someone help me? What version of software is your phone running? You can find it under tools, phone info. I know that T99VZV02 works with bitpim 1.0.2. There’s also a newer release of bitpim, 1.0.3, that was released a couple of days ago that might be worth a shot.